Following the announcement yesterday that six minutes of the film will screen before IMAX presentations of Jurassic World, Marvel Studios has released a new TV spot for Ant-Man offering some more footage from the film. Check it out in the player below! Ant-Man stars Paul Rudd (This is 40, They Came Together), Evangeline Lilly (“LOST,” The Hobbit: The Battle of the Five Armies), Corey Stoll (This is Where I Leave You, Non-Stop) and Michael Douglas (The Game, And So It Goes) and brings a founding member of The Avengers to the big screen for the first time. Armed with the astonishing ability to shrink in scale but increase in strength, master thief Scott Lang (Rudd) must embrace his inner-hero and help his mentor, Dr. Hank Pym (Douglas), protect the secret behind his spectacular Ant-Man suit from a new generation of towering threats. Against seemingly insurmountable obstacles, Pym and Lang must plan and pull off a heist that will save the world. Also starring are Judy Greer (“Archer,” Dawn of the Planet of the Apes), Bobby Cannavale (Chef, Blue Jasmine), Michael Pena (End of Watch, Fury), Martin Donovan (Inherent Vice, Insomnia), Wood Harris (Dredd, Remember the Titans), John Slattery (“Mad Men,” Iron Man 2), Gregg Turkington (“Gravity Falls,” The Comedy), Abby Ryder Fortson (“Togetherness,” “The Whispers”), David Dastmalchian (The Dark Knight, Prisoners) and T.I. (Takers, “House of Lies”), Ant-Man features a script by Edgar Wright, Joe Cornish, Paul Rudd and Adam McKay. Ant-Man is scheduled to open in theaters on July 17, 2015. 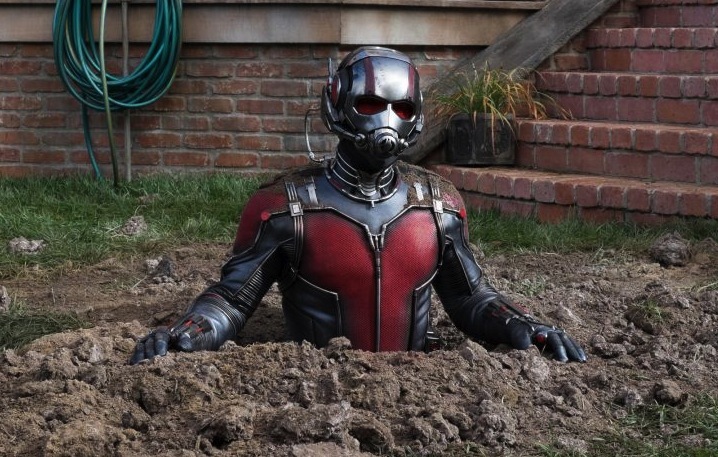 You can learn more about the Ant-Man cast by clicking here or, for some fun facts and trivia, click here.